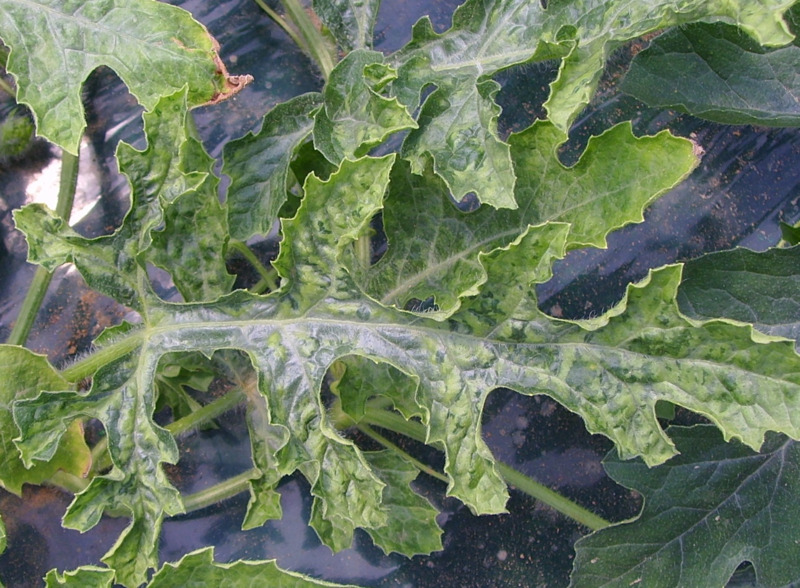 CGMMV infects cucurbit crops - including watermelon, cucumber, melons, zucchini, pumpkin, squash, bitter gourd, and bottle gourd. CGMMV can cause substantial crop losses. Developing and implementing strict on-farm biosecurity strategies is critical to preventing further spread of CGMMV. Report any suspect signs of CGMMV immediately to DAFWA’s Pest and Disease Information Service on 1800 084 881. Alternatively, download DAFWA’s MyPestGuide Reporter app to your smart phone, take a photo and follow the prompts on the device. A farm biosecurity plan template can be downloaded from this page. A farm biosecurity checklist can be downloaded from this page. Also visit the Farm Biosecurity website. Infromation sheets on sampling, disposal and destruction, and decontamination can be downloaded from this page. Refer to the vegetablesWA website for Vietnamese versions of CGMMV e-updates. ABC Country Hour interviews - 1 September and 19 September. 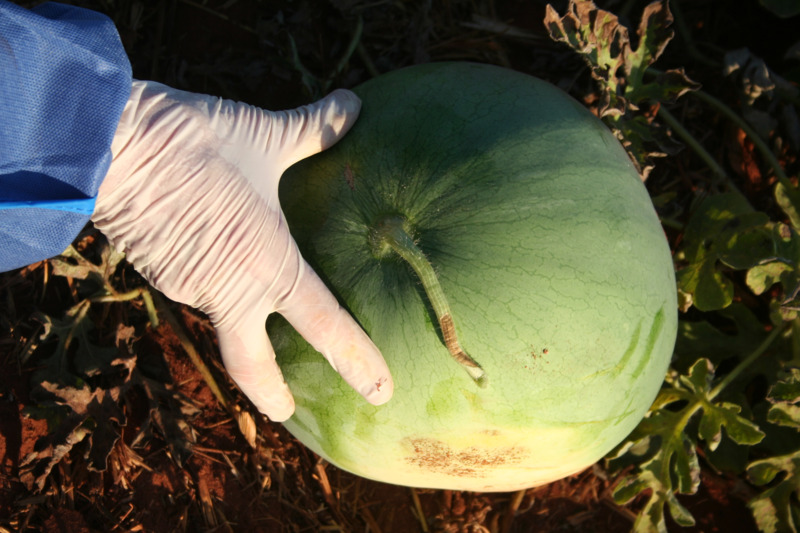 CGMMV has been detected on a commercial cucurbit property in Kununurra, on seven commercial cucurbit properties in Geraldton, one in Carnarvon, one in Perth, and in native and naturalised weed species in Carnarvon. There is no clear indication of how the virus entered WA – possibly through a number of different pathways. Since November 2014 all cucurbit seed lines entering Australia have been subjected to increased levels of testing for CGMMV. If you have older seed lines that entered Australia prior to November 2014, it is recommended you have them tested using the more stringent testing regime for CGMMV. For recently purchased seed, cucurbit growers should seek a written statement from their seed suppliers stating that the seeds have been tested, using the ELISA method, and found to be free from the virus. This assurance should be obtained for both cultivars and rootstocks. DAFWA met with Geraldton growers in November 2016 to help develop on-farm biosecurity plans. In 2017 DAFWA will arrange follow-up meetings to measure the up-take of planned biosecurity measures on each property. What damage can this disease cause?